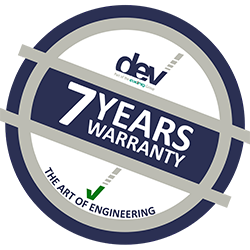 DEV Systemtechnik is now offering a seven year warranty for all standard products as part of the company's continuing quality demonstration programs. The extended warranty period becomes effective to all deliveries of the enclosed product lines* starting January 1, 2018, and is free of charge. Additionally, all DEV products are covered by the DEV TripleC Service, with guaranteed support service levels in terms of reaction time and fault analysis, as well as free shipping of products for repair. This unique service is free of charge for the first 37 months and can be extended up to seven additional years. In announcing the new offering, Manfred Mettendorff, Managing Director of DEV Systemtechnik said that since the company develops and manufactures all state-of-the-art products in-house, the firm can be absolutely certain that they are durable and have the highest reliability and lifetime. 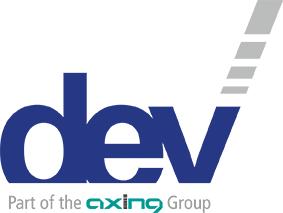 By extending the warranty period, DEV promises that the firm's products are engineered and manufactured for many years of use. *currently excluded are all mechanical parts, installed or uninstalled, and power supplies.